Buy Lifestyle Garden cushion bag: <ul><b><li>Durable and waterproof</li><li>UV stabilised to reduce fading</li><li>Quick-dry surface</li></b></ul><br>Protect furniture cushions from dirt, damp and damage with this fully waterproof polyester storage bag.<br><br>The hardwearing wipe-clean bag will hold a stack of cushions up to 150cm long, 75cm wide and 70cm high for storage in the shed or inside a suitable cushion box, or can be used for other occasional items in the loft.<br><br>Finished in warm grey. Protect furniture cushions from dirt, damp and damage with this fully waterproof polyester storage bag. 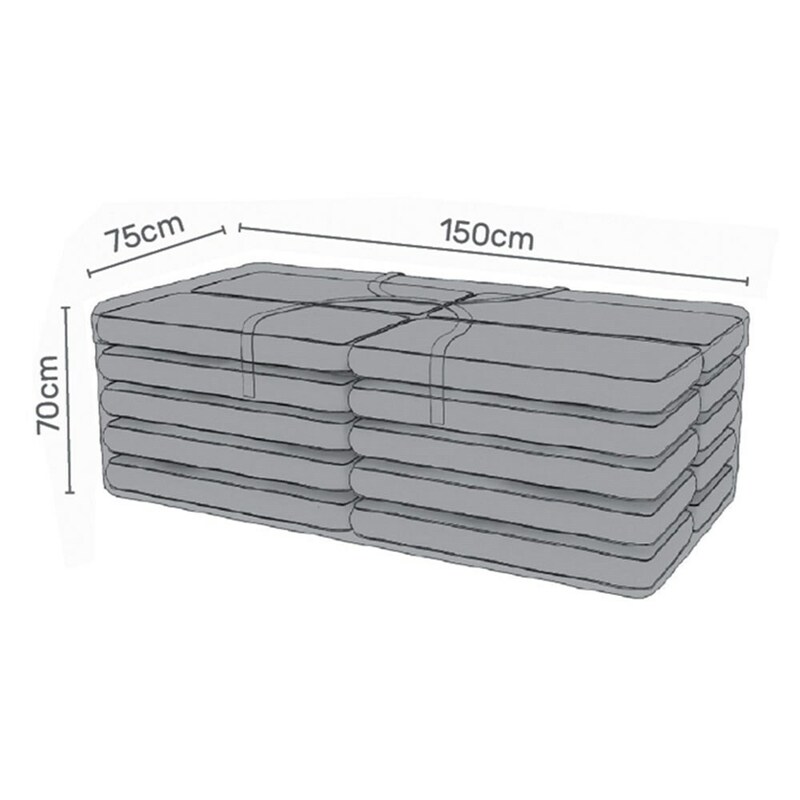 The hardwearing wipe-clean bag will hold a stack of cushions up to 150cm long, 75cm wide and 70cm high for storage in the shed or inside a suitable cushion box, or can be used for other occasional items in the loft.